TimeSquared has officially hit the ground running. See the press release to get more details on our launch. U.S. 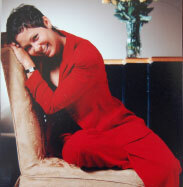 Leaders and Entrepreneur's Association (USLEA) honors Andrea Arena for demonstrating leadership and admirable drive. Many successful entrepreneurs — like Andrea Arena — say they were lucky to launch their businesses in tough times. OhioHealth gives its employees a break by hiring a concierge service to run their personal errands. Piedmont is added to the growing list of hospitals to offer concierge and errand running services to their patients and their families. OhioHealth employee states that the concierge service makes her feel special and frees her up to make your patients feel special. OhioHealth has hired a concierge service to help their employees focus on work. Think of a corporate concierge as a strategic, professional, nation-wide support staff that handles all of the things that keep you from your work. 6 women share their story: "Challenging Role of Women in the Workforce," a panel discussion hosted by the Ga Tech Alumni/Faculty House during the Homecoming 2002 celebration. Speaks to the tremendous value of a Ga. Tech education in building one's career. Also, compares the challenges of being a female at Ga. Tech to that of being a 24-year-old entrepreneur taking on corporate America. A surprising number of firms are paying more than lip service to harried employees trying to balance and work and family. Does your firm measure up? 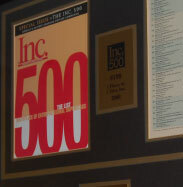 Named #249 in 1999 and moved to #198 in 2000 of this prestigious list of fast growth companies. Corporate concierge, Andrea Arena, makes big bucks by sweating the small stuff. Launched with $5,000, Andrea Arena's concierge service makes millions meeting clients' many demands. As the pace of life and length of workdays rises in the Bay Area, people increasingly complain that there just isn't enough time in the week to work 60 hours and still handle the logistics of homelife. Personal errand service is not a perk limited to executives. Concierge service as an employee benefit improves retention and job satisfaction of Millennials. Human Resources professionals describe concierge services as a smart investment, one that pays off in easier recruitment and retention and a better blend of personal and professional life.